1. If anyone knows of any source of modern Bulgarian roundels, please let Chris Jones know. Wanted for a Mi-14PL. Blue Rider don't seem to do them. 2. Marv Mays announced on the rec.models.scale newgroup that he is planning a series of 1:48 helicopter decal sheets. Some fixed wing decal sheets are already available from this source. "Currently, we plan to provide stencil data for each aircraft in 1:48. There is a good possibility we will also add stencil data in 1:32 for the AH-64, though no final decision has been made yet. There are no plans for 1:72 stencil data. Whether or not we create complete markings sheets for the listed helicopters depends on the research material we are able to collect. Here's a list of sheets that are in the planning stage." 3. Scans of new items from the 1999 Italeri and Airfix catalogues can be viewed at Adam Cooper's Triple-A. There's nothing from Airfix to interest us except that the re-issued "Jungle Outpost" may have serious possibilities. 4. Following the Nuremburg Toy Fair which finished earlier this week, both Italeri and Revell have updated their websites to show their new items for 1999. The re-released Matchbox BK-117 is D-HECE, star of a current Austrian/German TV series called "Medicopter 117 - Jedes Leben Zдhlt" (Each Life Counts) which is broadcast by RTL on Sundays. It will come with 'detailed rescue hoist' and 'outpatient clinic department'. Babelfish translation from the German. This picture of the brightly coloured D-HECE is from Alec Buck's EMS Helicopters. Note also that the Wessex HAS.3 seems to have been dropped from the website listing of curent Revell products. 5. Further product updates from the Nuremburg Toy Fair are gradually appearing at Matlan. Here we read the intriguing information that KP have decided to release their old kits with new decals & boxes in cooperation with Polish manufacturer MASTERCRAFT. Whether this will include the Mi-4 and Mi-8 remains to be seen. 6. Also at Matlan it says: "M.R.C. Bad news from this friendly team: the 1/35 CHINOOK is now cancelled. Good news: M.R.C. will announce during 4th quarter of 1999 this 1/35 new release that will be available during 2000." "Yesterday, out of the blue, UPS delivered a box of HH-43s from Testors which I ordered last year. Apparently they've fixed the mold problems and it looks just like the old Hawk kit, but without the Hawk name on the inside like before. This "HSO" release has a/c gray as well as SEA camo and civil paint schemes. The decals look great. The artwork is the same as the 60's Hawk original with the HH-43 picking-up a Navy A-1 pilot while the VC advance from the treeline. It reminds me of 8th grade all over again!" 8. Also now available is the A-Model 1:72 Ka-60. This review is from NKR. "Small box but a lot of kit...six sprues (1 in clear plastic, the rest in white), containing over 120 parts, all cleanly moulded without flash and with fine engraved detail. The cockpit/cabin is fully detailed (the doors can be assembled opened or closed) as is the rotor, which has some incredibly fine small parts. The nose can be left off to expose the radar and a couple of weapons pods are provided. The decal sheet has markings and stencilling for two aircraft (I am told most A-Model decal sheets need an overall clear coat before use...to ensure they don't break up). The four page instruction sheet is 'cramped' with assembly diagrams, so care will be needed to follow it all!" If this is true then A-model must have made substantial improvements to their moulding process in the last few months, and I didn't have any problems with the decals in the A-model Mi-2. 9. The Special Hobby TH-55A and Hiller UH-12 (H23) are now released. At MPM their status has changed from coming soon to now available by local dealers. 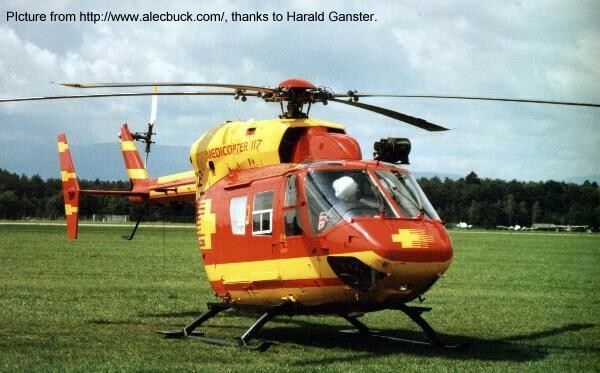 The information about the TH-55A in the Hannants catalogue has been updated as well. There's now a price - Ј6.50; and marking information - USAF, Japanese, Swedish, and Civil. Looks like availability in the UK is imminent. Thanks to Marv Mays and Adam Cooper.